Alcindor is also a contributor for NBC News and MSNBC often appearing on a number of shows including Morning Joe, Andrea Mitchell Reports, The Rachel Maddow Show, Hardball with Chris Matthews, and Meet the Press with Chuck Todd. Previously, Alcindor worked as a national political reporter for The New York Times where she covered the presidential campaigns of Mr. Trump and Senator Bernie Sanders as well as Congress. She also wrote about the impact of President Donald Trump's policies on working class people and people of color. Before joining The Times, she was a national breaking news reporter for USA Today and traveled across the country to cover stories including the school shooting in Newtown, Conn., the death of Trayvon Martin in Sanford, Fla. and the police related protests in Ferguson, Mo. and Baltimore, Md. Alcindor’s overall goal is to be a civil rights journalist and she was inspired by the late PBS NewsHour anchor Gwen Ifill. In 2017, she won an award in a tribute to Ifill during Syracuse University's Toner Prize ceremony. She is a member of the National Association of Black Journalists and was named the organization’s "Emerging Journalist of the Year" in 2013. Alcindor earned a master's degree in broadcast news and documentary filmmaking from New York University and a bachelor's in English, government and African American studies from Georgetown University. 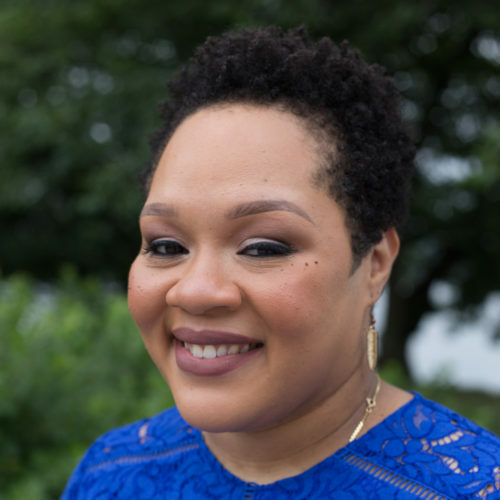 A native of Miami, Fla., Yamiche is married to a fellow journalist and is the daughter of Haitian immigrants who met while attending Boston College. It is not clear how many people the White House proposed releasing into sanctuary cities, but news of the proposal comes as Trump doubles down on his hardline immigration policies through personnel changes and new policy proposals. After the speech, White House officials pushed the offer as a “common sense compromise,” while Democratic lawmakers doubled down on their rejection. Becoming your best self means taking care of yourself, and other things Michelle Obama shared during her book tour stop in Washington, D.C.